Home › DEBATES › Cambridge Debate: Is the West to Blame of Islamic Extremism (Terrorism)? 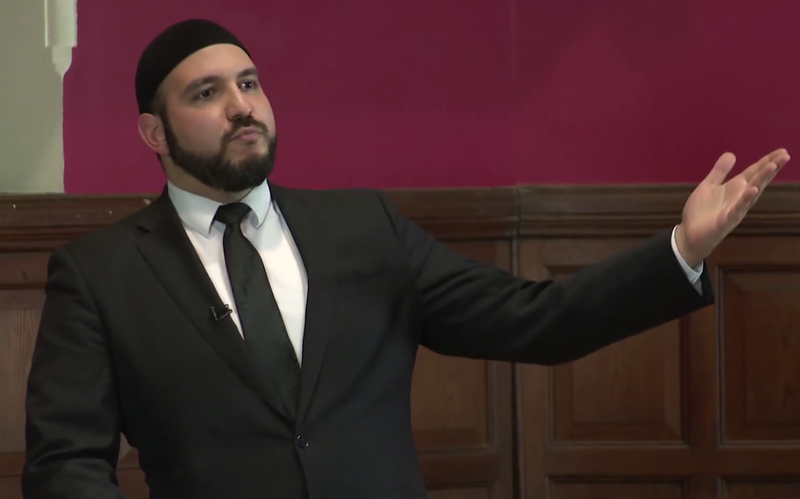 Cambridge Debate: Is the West to Blame of Islamic Extremism (Terrorism)? On the 23rd April 2015, the prestigious Cambridge Union, at Cambridge University debated the motion ‘This House Believes the West is the Blame for Islamic Extremism (Terrorism)’. The debate motion had three speakers in proposition of the motion, and three in opposition of the motion. The debate was concluded with a vote to determine whether the ‘house’ adopts the motion or rejects it. The debate was strongly argued on both sides, with strong opinions raised from the audience, however, by the end of the debate, the house voted by a majority for the proposition that the West is to Blame for Islamic Extremism (Terrorism). ‘As the western military presence in Afghanistan draws to a close, much of the Middle East remains just as unstable and volatile as it has ever been. The actions of ISIS in Iraq and Syria have once again brought the issue of Islamic Extremism to the fore of global politics. The Union asks whether this pressing security issue, both in the West and the Middle East, is the legacy of Western foreign policy, or if it is instead a result of more deep-rooted, regional factors’. Frances Guy – Frances was the British ambassador to Yemen and Lebanon, the Foreign Secretary’s envoy to the Syrian opposition, and is the UN Women’s representative in Iraq. Dr Iza Hussin – Dr Hussin is a member of Cambridge’s POLIS department, and researches comparative politics, Islam and Muslim politics. Her forthcoming book explores the construction of Islamic law in colonial India, Malaya and Egypt. Abdullah al Andalusi – Abdullah is an international speaker, thinker and intellectual activist for Islam and Muslim affairs, and is the co-founder of the Muslim Debate Initiative. Robin Simcox – Robin is a Research Fellow at the Henry Jackson Society, where he specialises in al-Qaeda and al-Qaeda inspired terrorism. He is the co-author of both editions of ‘Islamist Terrorism: The British Connections’ , and has written and spoken on the issue on a variety of platforms. Chris Doyle – Chris is the Director of the Council for Arab-British Understanding and a member of the Royal Institute for International Affairs.